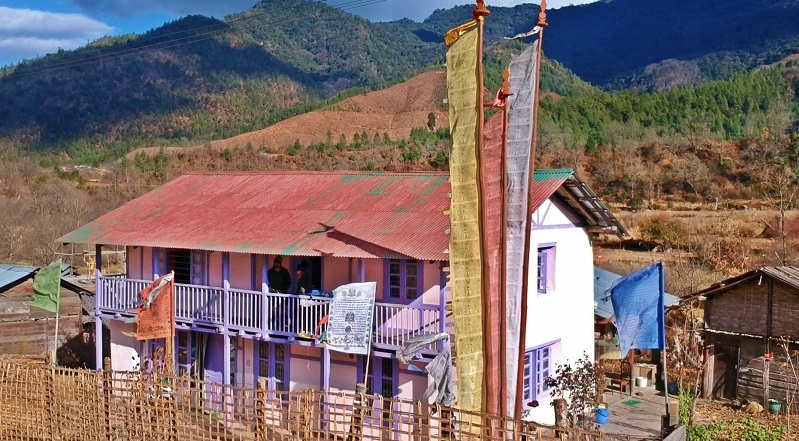 Tura - in Meghalaya, is the pleasant and pollution-free town of the West Garo hills district which is situated at the foothills of the Tura Hills and right below the Tura Peak or Nokrek Peak. Nokrek Peak is the second highest peak in Meghalaya and highest peak in entire Garo hills. Tura is filled with streamlets and green valleys all around. It is famous for its picture postcard beauty which boasts of a wonderful landscape of lofty hills, against a backdrop of low-lying plains, with the mighty river Brahmaputra, dramatically rushing through, towards Bangladesh. Tura is the largest town in the Garo hills area of Meghalaya. It is a cultural and administrative centre of the Garo tribes. 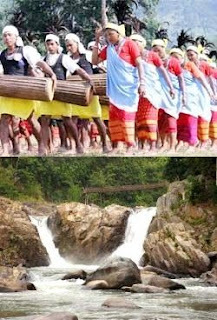 Garos are the second-largest tribe in Meghalaya after the Khasis, and comprise about a third of the local population. The main languages of Tura are Garo, Bengali, Hindi and English. Christianity is the main religion of Tura. 'Wangala' is celebrated annually in Tura. It is a festival celebrated after harvesting. Wangala is best showcased at the 100 Drums festival which takes place 30km away from Tura in a place called, Asanang. The men and women are dressed in traditional attire and they dance to beat of the 100 drums. 79 kms from Tura lies a historical place Rongrengiri, where Garos faught their final battle against the British. Tura is known for the Tura Peak, a majestic hill stands on the eastern flank of Tura. A sunset view can be best seen from Tura Peak at 1,400 meter and its summit can be reached by a five kilometers trek, partly by hiking and also by rock climbing. The famous limestone caves of Siju are located near Naphak Lake and the Simsang Game Reserve. The formation of stalagmites and stalactites in these caves resemble those of the Blue Grotto in the Isle of Capri. Located at the distance of 7 kms from Tura. I spent 2 of my best years in Tura. Miss it SOOOO badly . . .